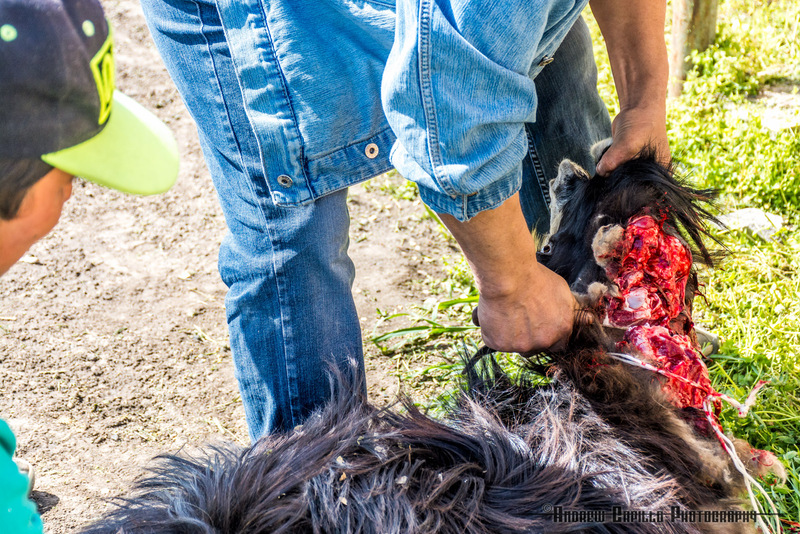 Warning: graphic images of animal decapitation follow at the end of the post. 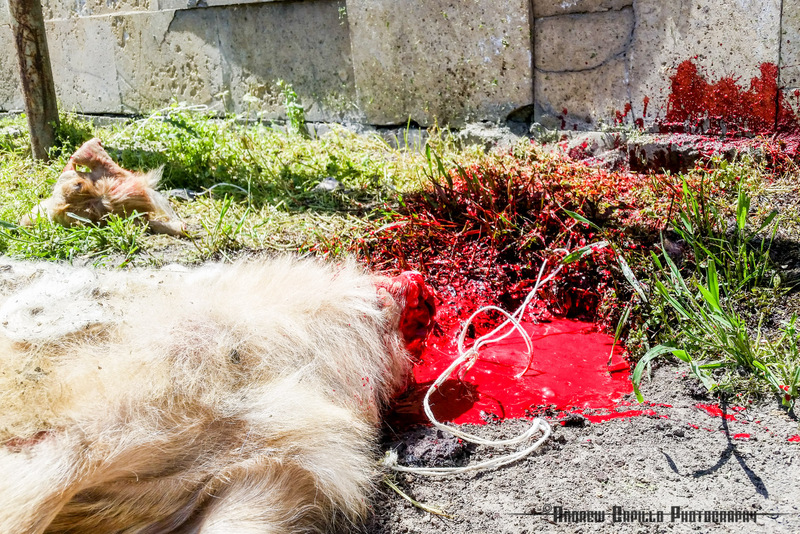 Please don't scroll to the bottom if you're squeamish about blood. 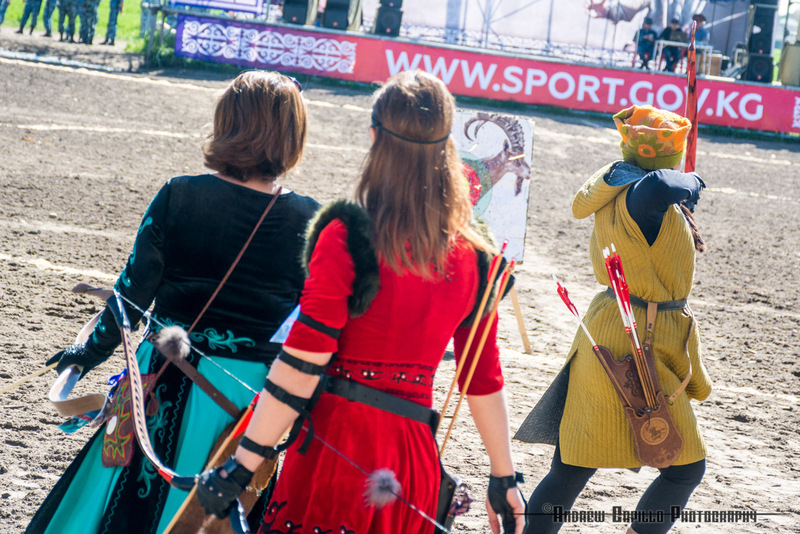 And so we will die too. 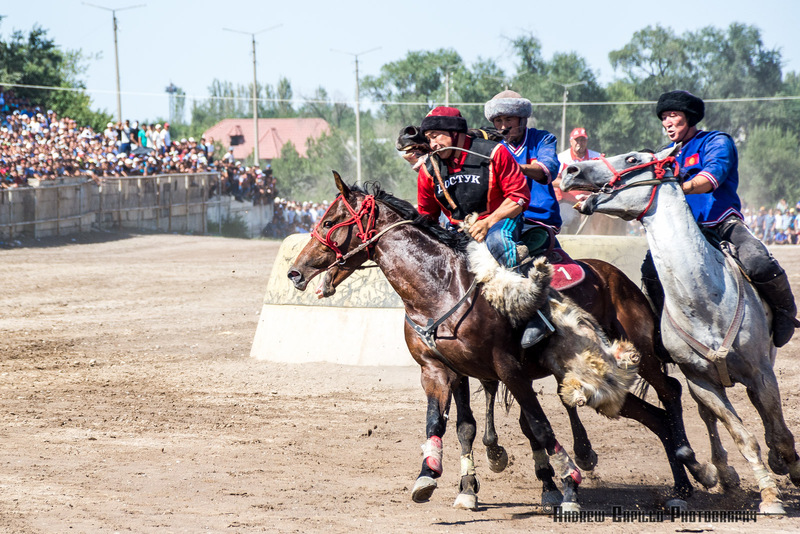 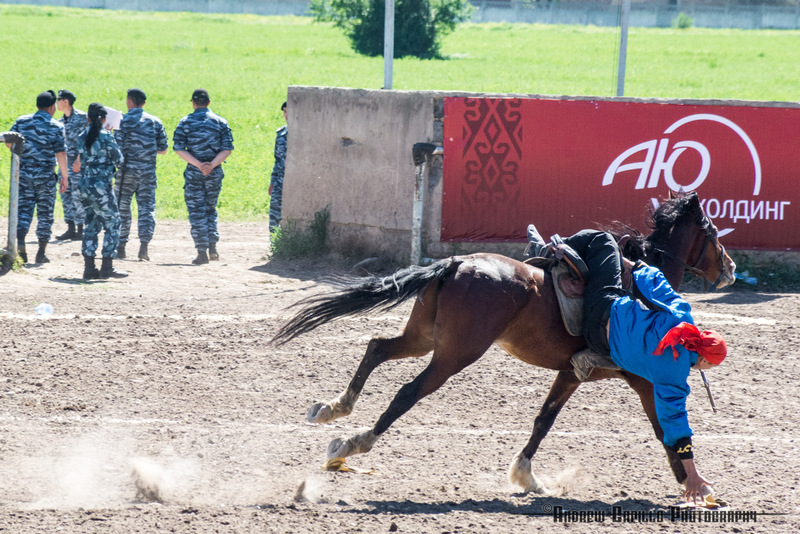 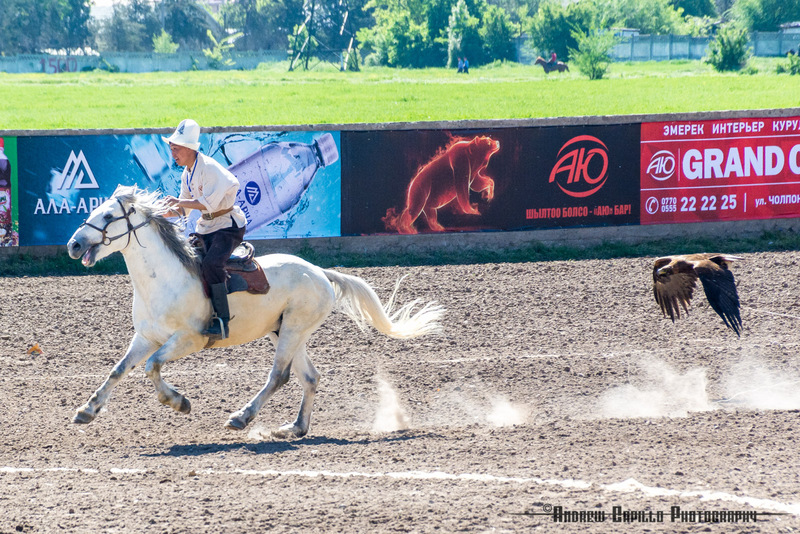 Kok-boru, Kyrgyz for "blue wolf," is the name of the national horse game of Kyrgyzstan. 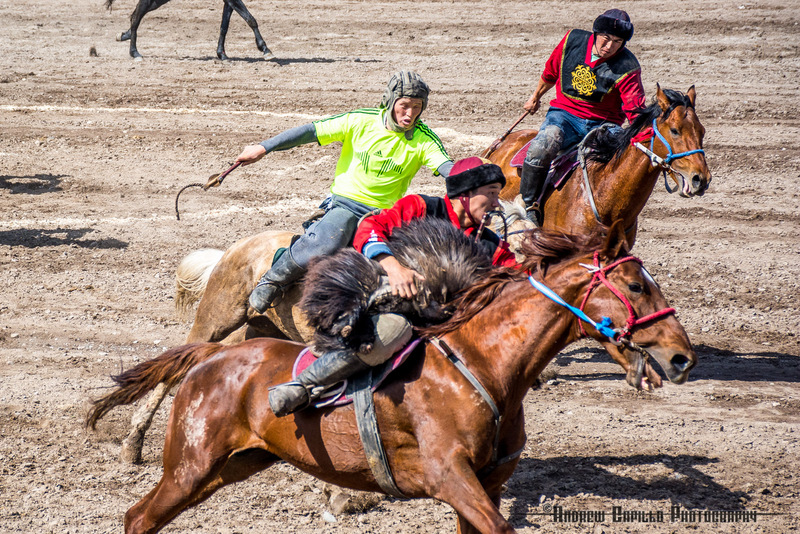 The name and the game can be traced back to a time when nomadic shepherds would play friendly games on horseback to hone their skills against the wolves that threatened their flocks. 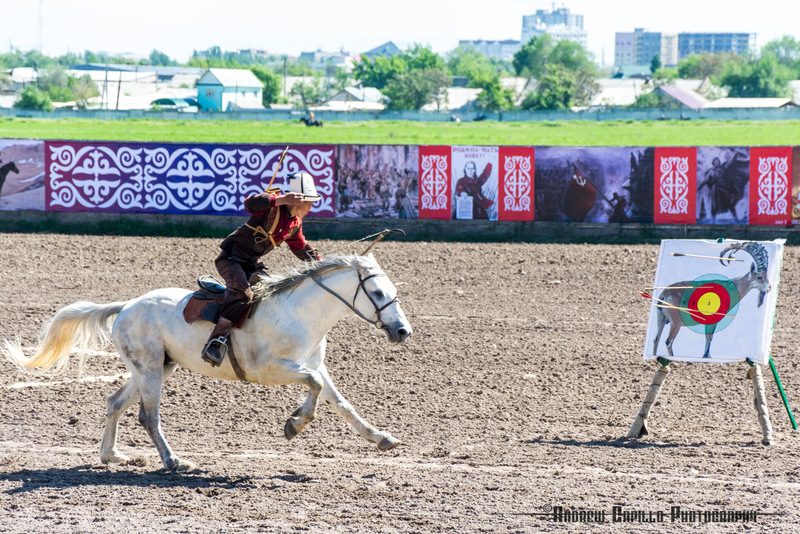 These shepherds depended on their horses for their survival, and so the importance of horsemanship in nomadic cultures cannot be overstated. 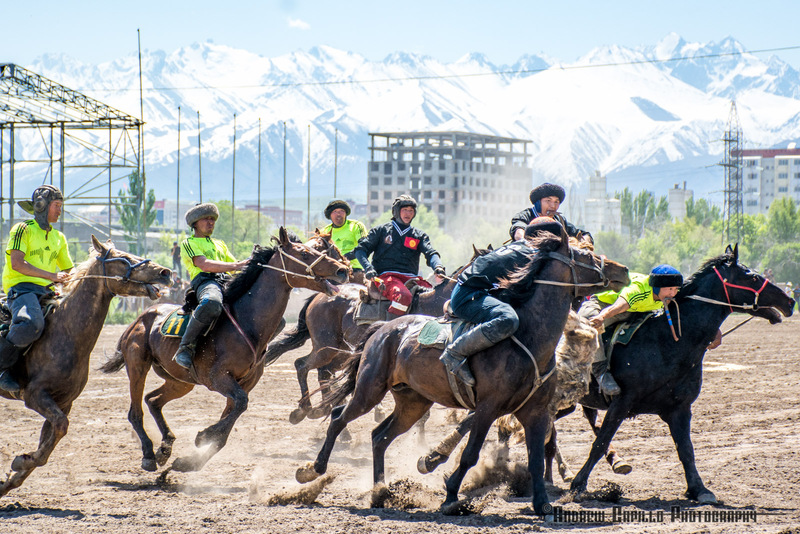 Accordingly, the sport retains a position of importance and is known across Central Asia, though sometimes by different titles. 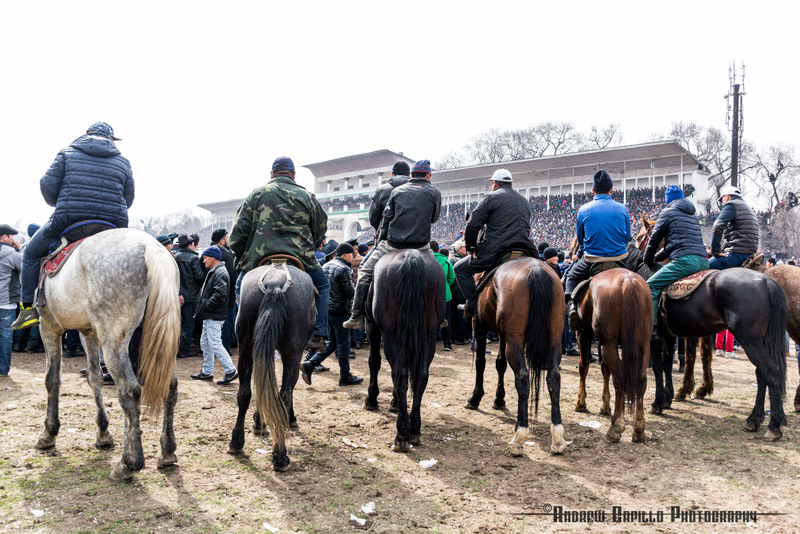 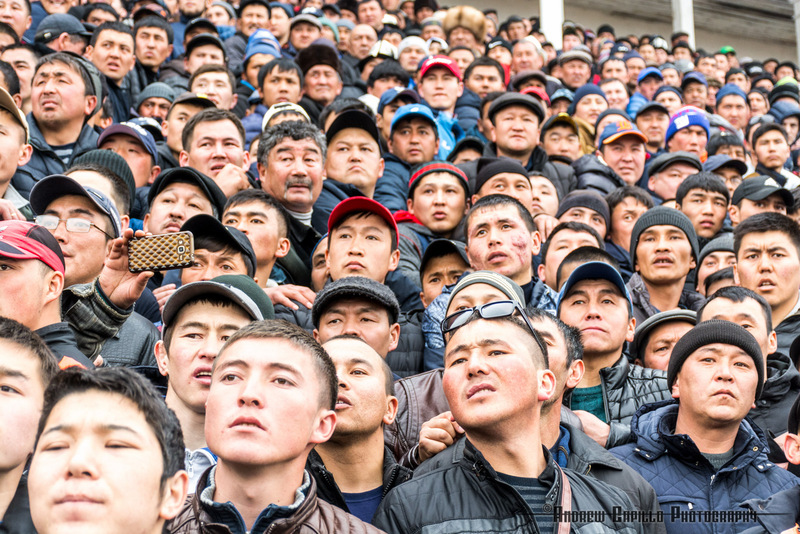 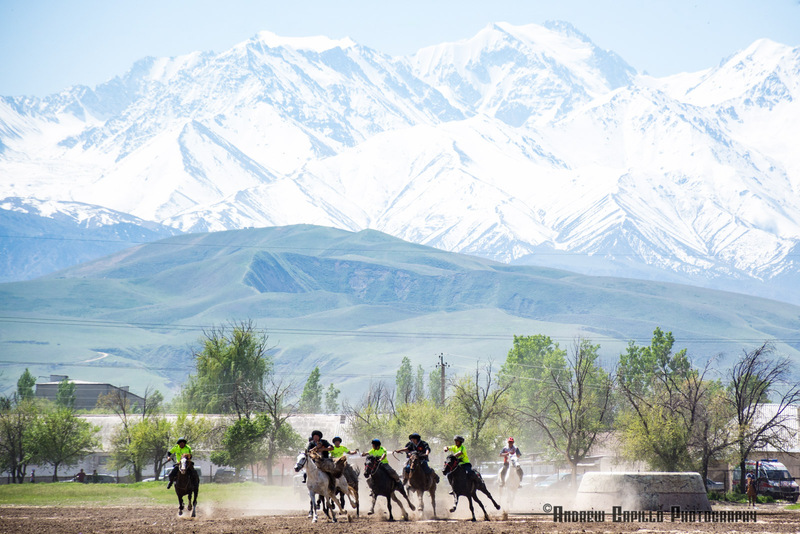 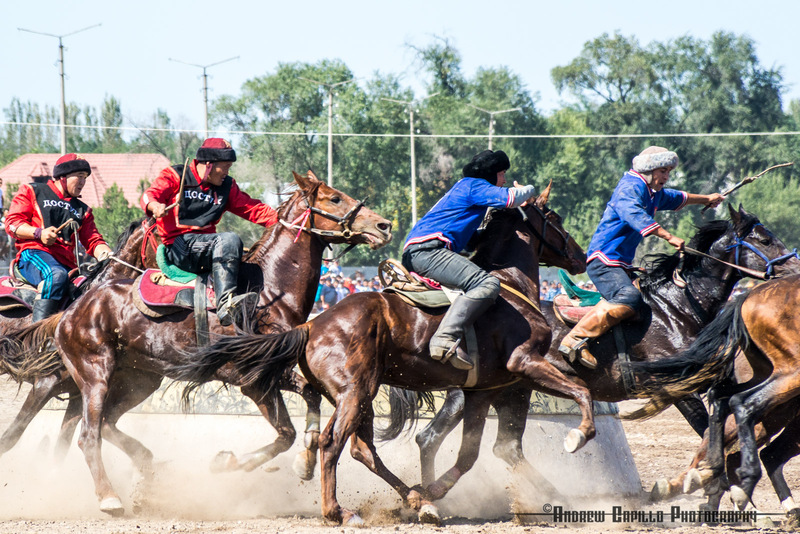 Ulak-tartysh, for example, or kokpar in Kazakhstan and buzkashi in Afghanistan. 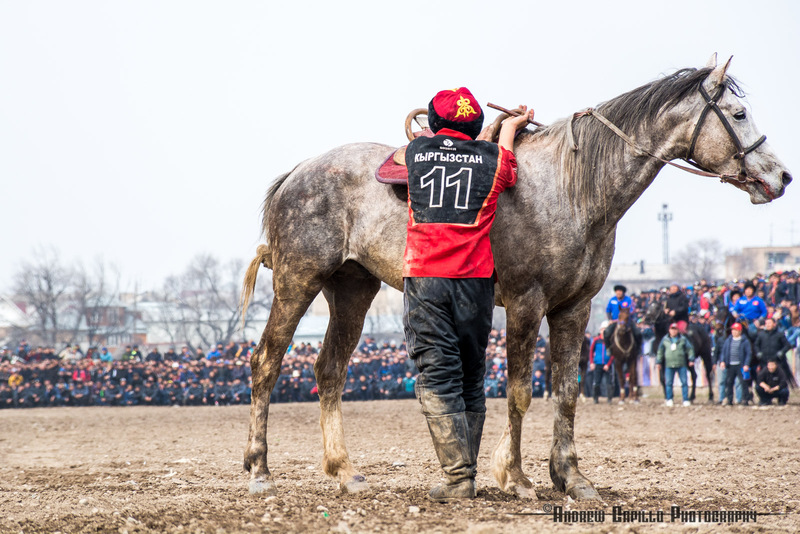 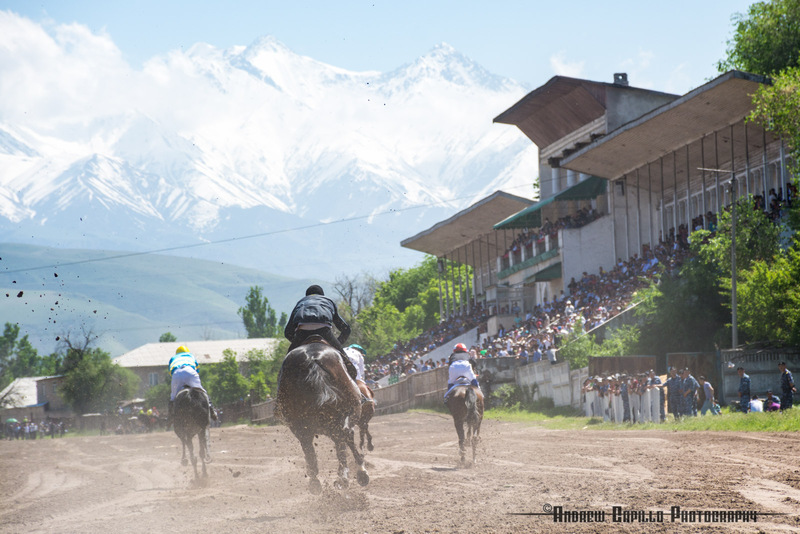 Although still traditionally played in villages throughout the country, decades of Soviet urbanization have resulted in the migration of major tournaments to large cities like Bishkek, where a kok-boru field resides year round in the city's hippodrome beneath the snowy gaze of the Ala-Too Mountains. 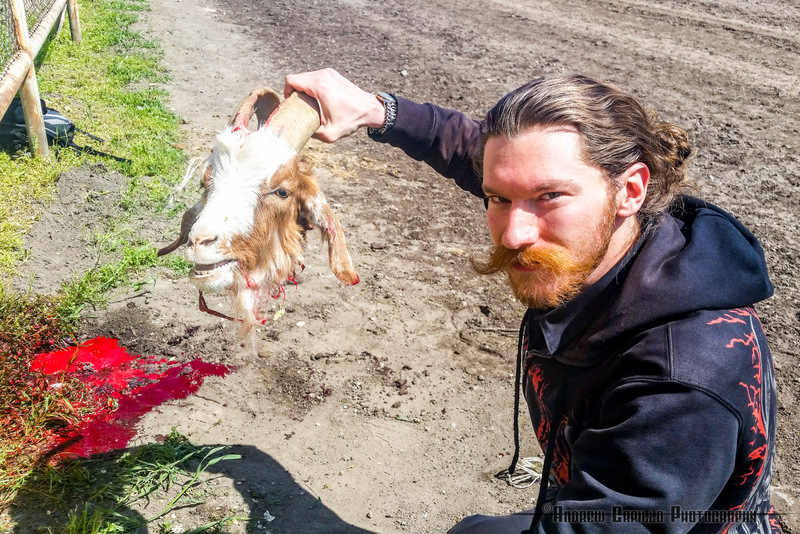 The most defining features of the game, wherever it is played, is the freshly decapitated and dehoofed goat carcass, which is yanked across a field by whip-wielding horsemen. 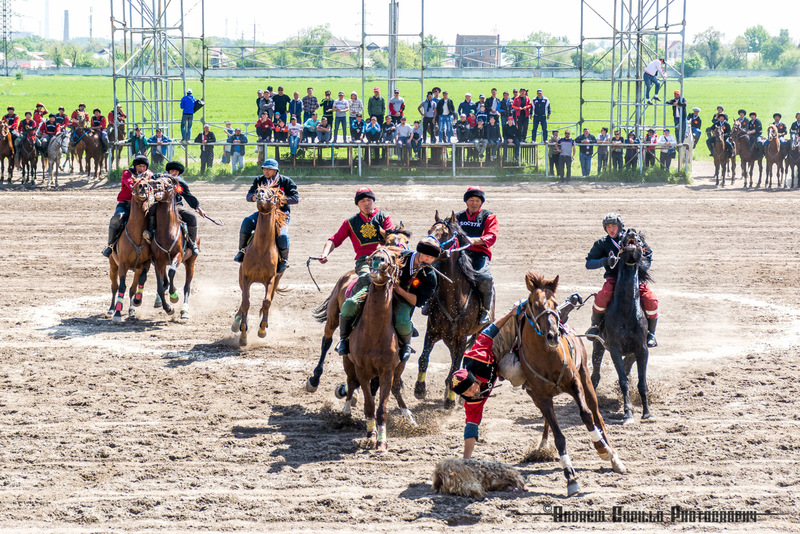 The goal of the game is for the mounted players to grip the 35kg mass by its shaggy fur and carry it hooked under an arm or a leg to one of two wells on either side of the rectangular arena. 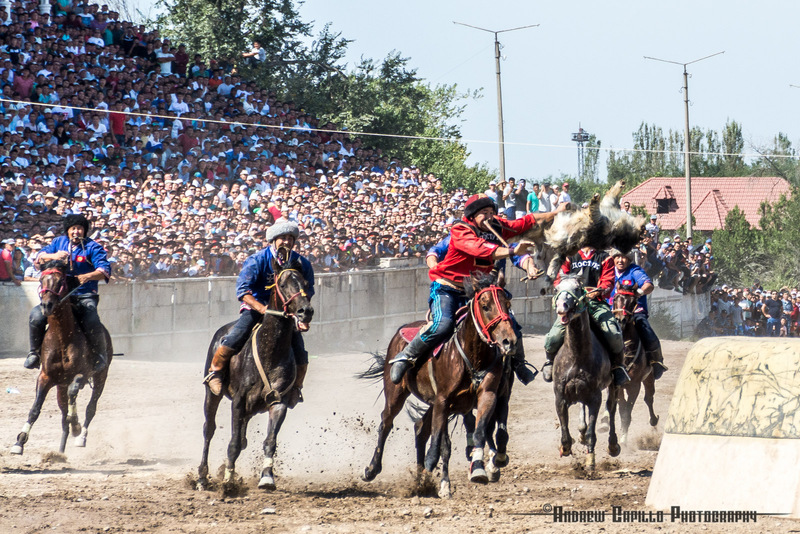 If you can hurl the battered slab of meat into your opponent's well, you score a point. 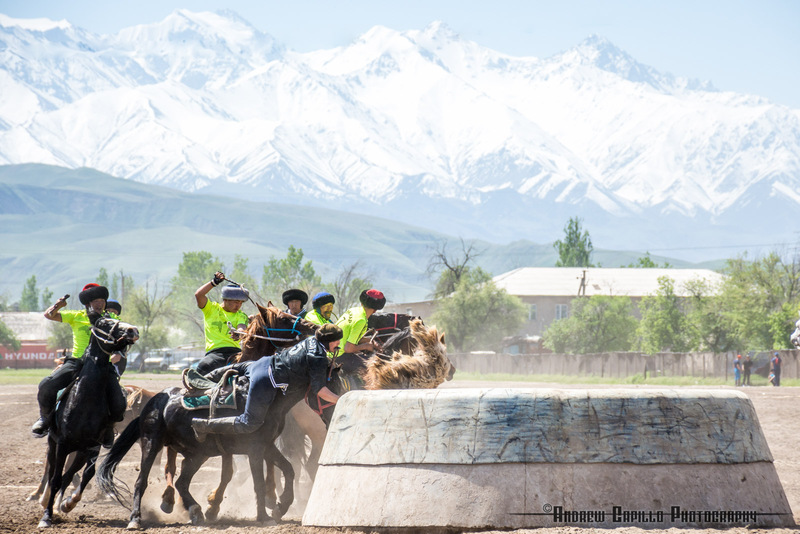 It sounds simple enough, but amidst the wildly flailing horsewhips, the churning clouds of dust, the cacophony of the fanatic masses and the bone-crushing presses of agitated stallions, chaos becomes not the exception but the rule. 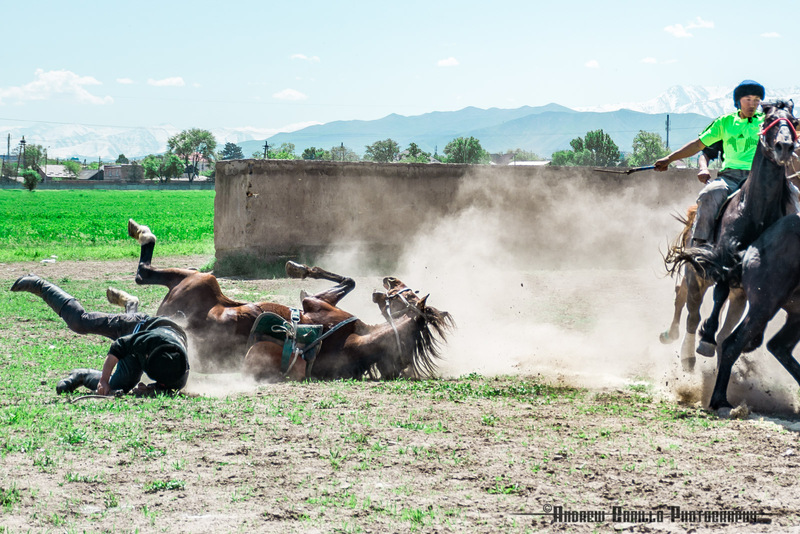 Unsurprisingly, it isn't too uncommon for riders to be thrown from their mounts or for horses themselves to take a tumble. 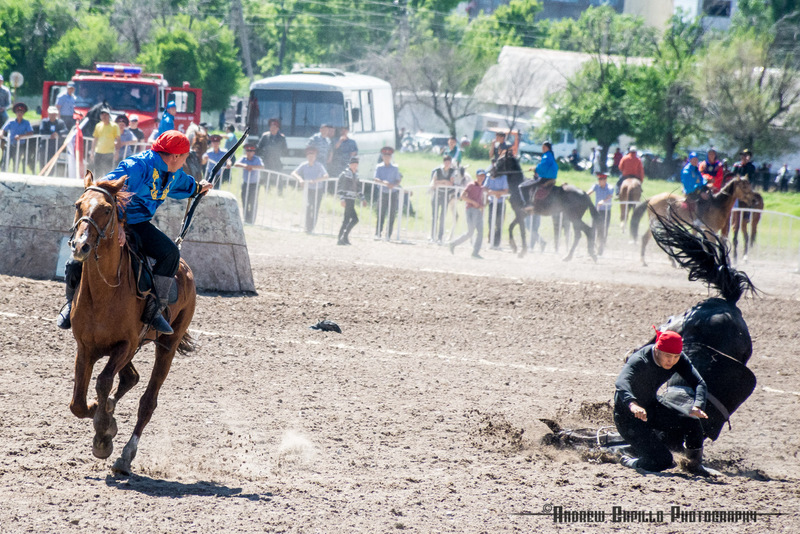 Professional players rely enormously on well-trained mounts that won't panic in the chaos of a play or shy from charging at break-neck speed at one of the large wells. 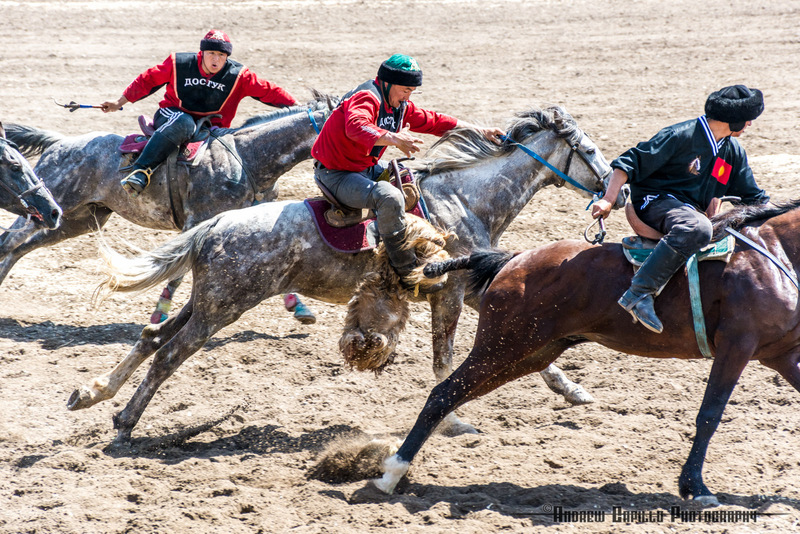 They drive the fear and hesitation out of their animals by rehearsing these high-speed crashes again and again as part of their training routine. 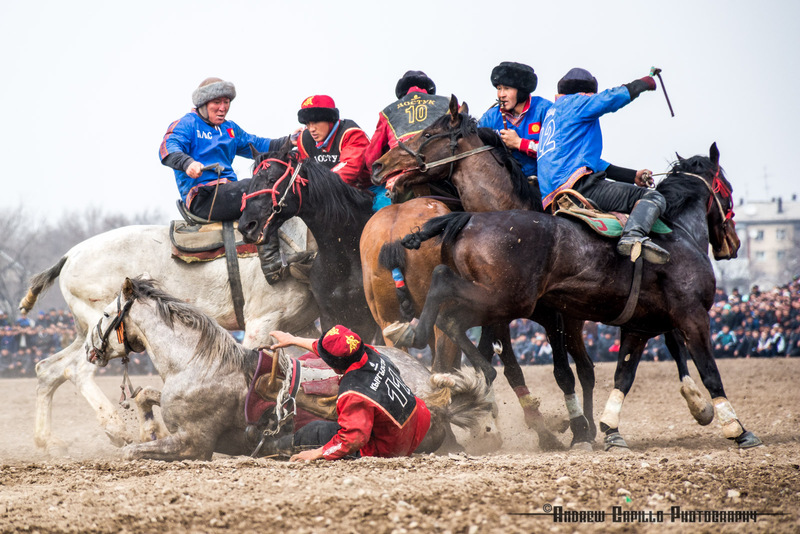 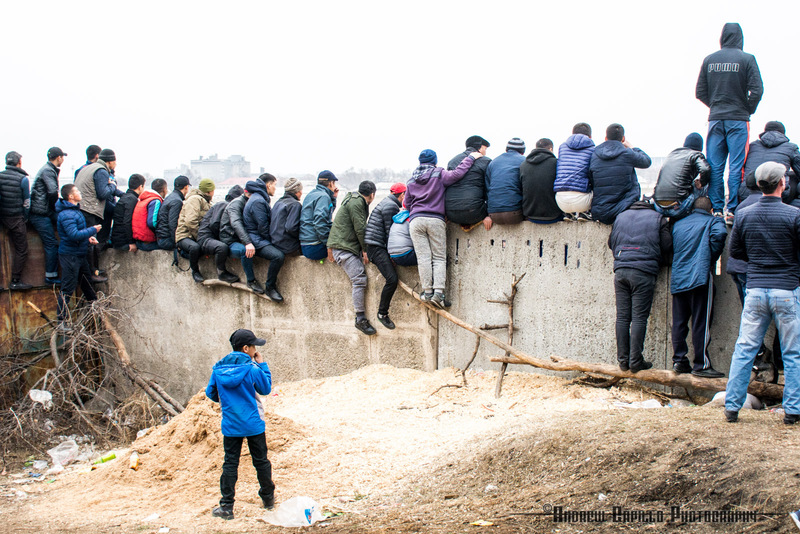 Occasionally the horses crash against the walls on which people are standing or into the crowds of squatting spectators plow, triggering a desperate scramble that resembles the way a school of fish or swarm of flies react to danger as though with a single mind. 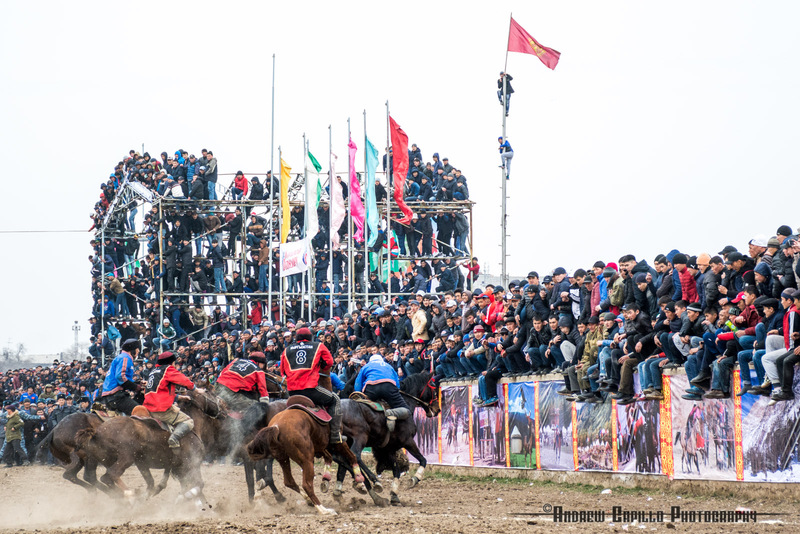 Even though the cordon of police officers charged with keeping the viewers a safe distance from the action grows larger and more aggressive every year, the dedicated and creative fans always get a good view of the arena in the end, either by wiles or sheer numbers. 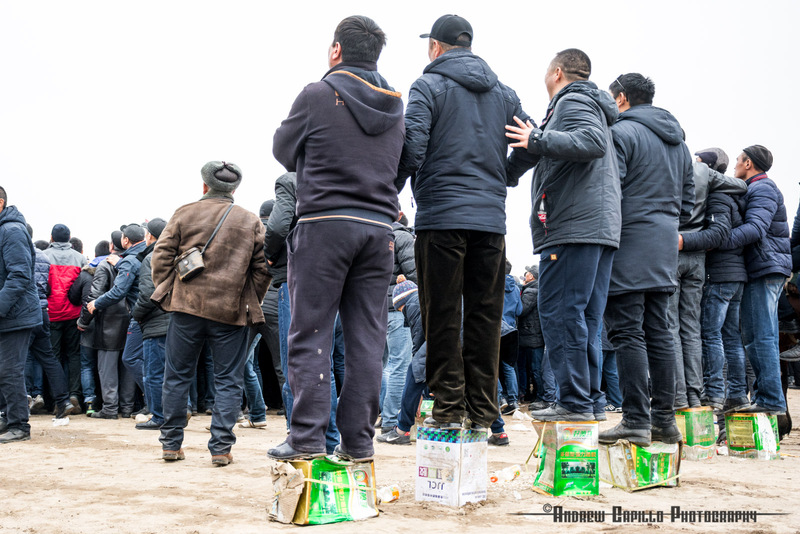 Spectators who don't enjoy the adrenalin boost of being an occasional participant in the game's mayhem can sit safely in the stands overlooking the field, though they'd better get there early lest all the seats be gone. 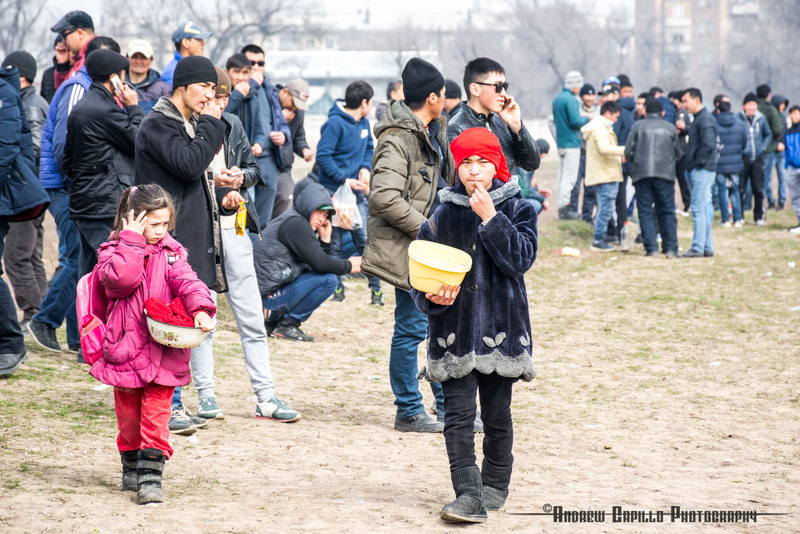 For the full experience, locals eschew nachos and cracker jacks for a bag of sunflower seeds purchased from the handy child-labor force patrolling the area. 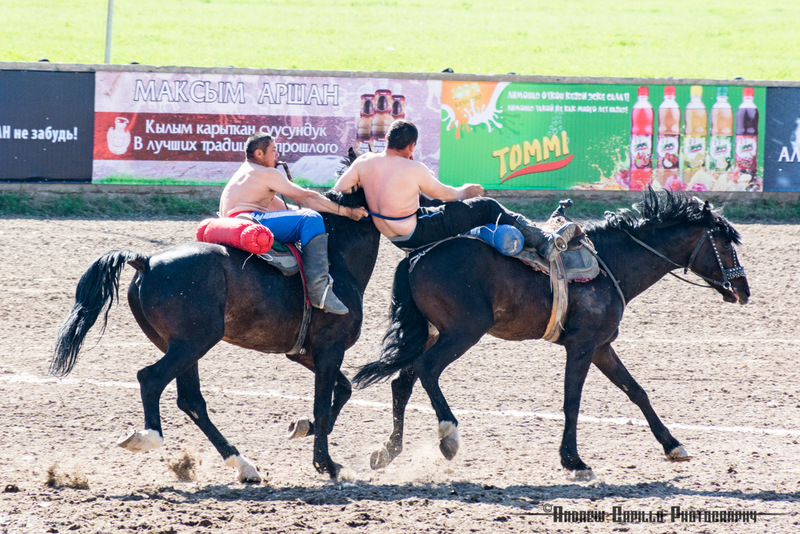 On big game days, the scattered shells of the seeds soon outnumber the sands of the arena itself. 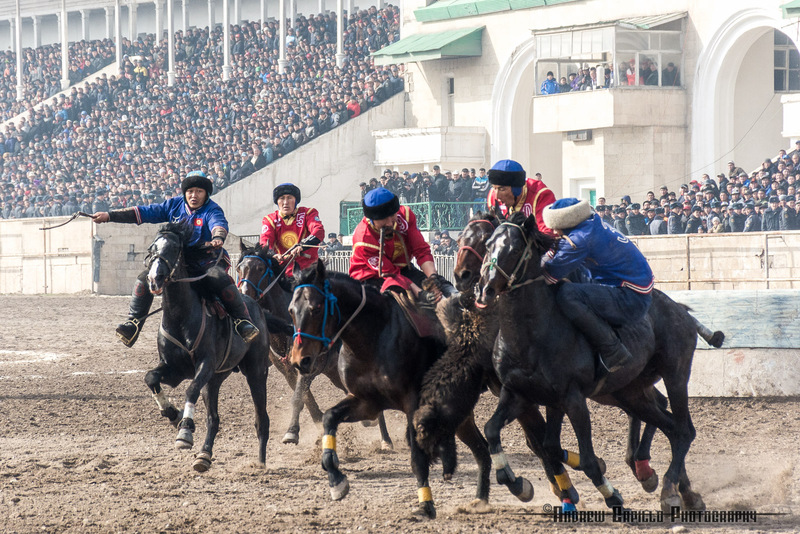 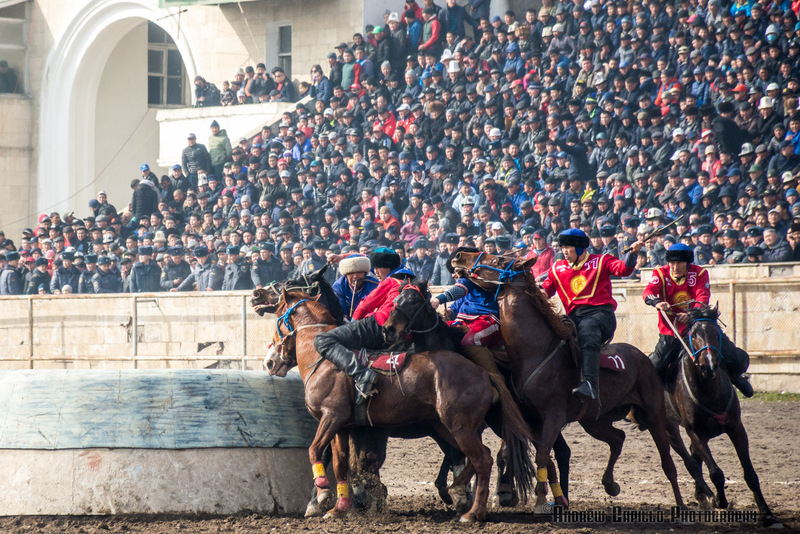 Games of kok-boru are often coupled with other traditional sports and activities. 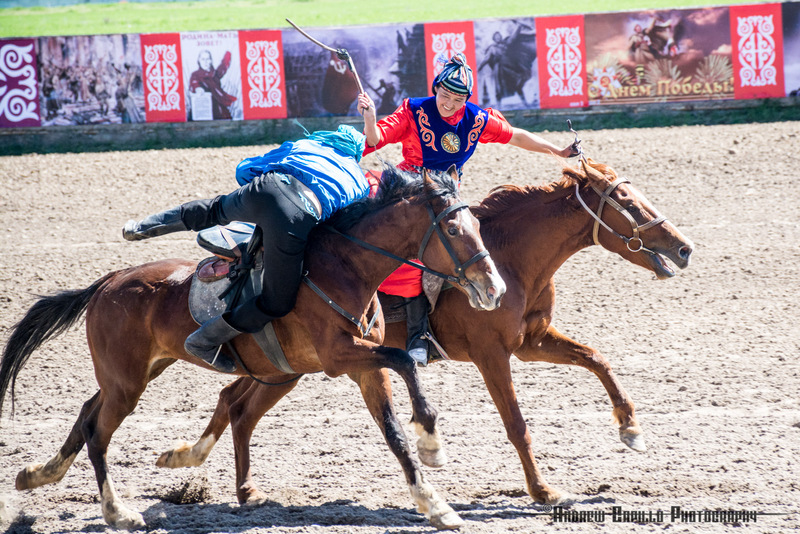 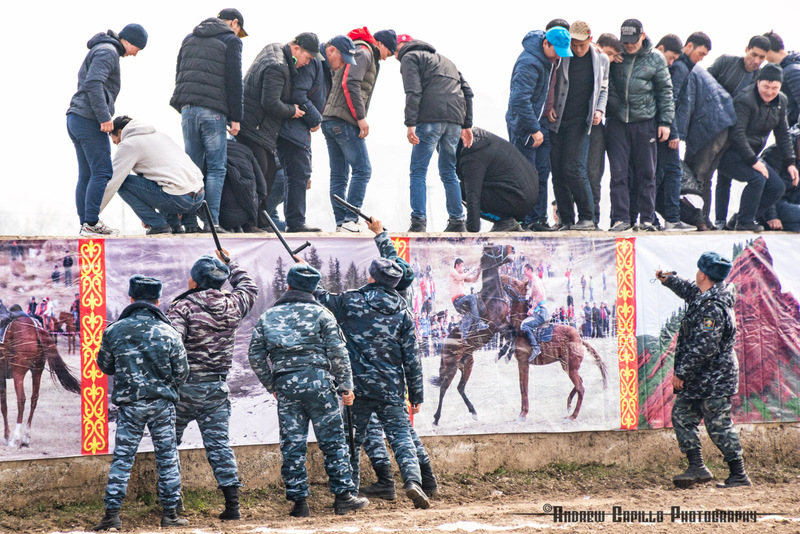 One such pastime is odarysh, horseback wrestling, which involves gripping your opponent's belt and limbs and trying to tear him off his mount. 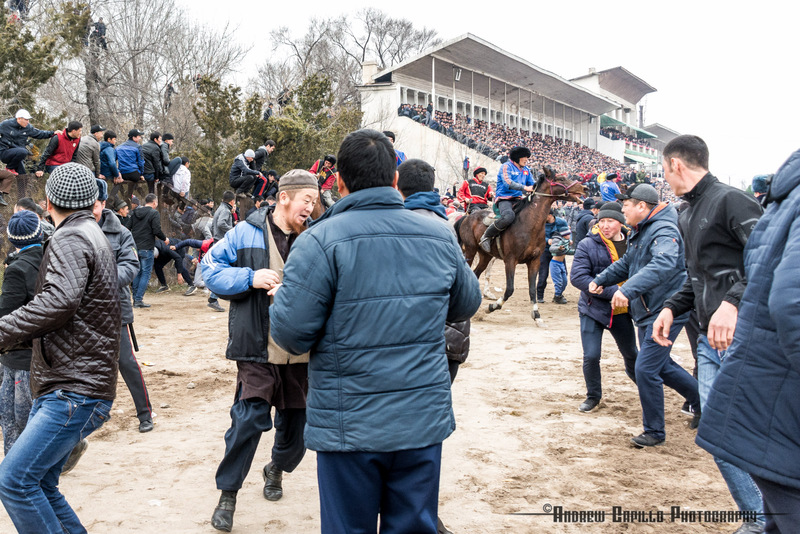 Another crowd favorite, kyz-kumai, is a traditional wedding game in which the young man needs to try to catch his mounted bride and snag a kiss, or else be subject to her whip should be fail. 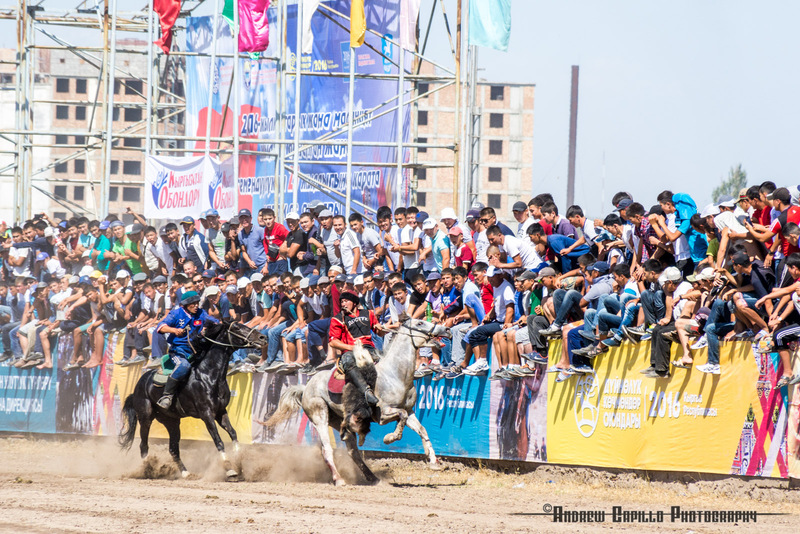 And then there are always ample demonstrations of courage and skill - horse racing around the 2.2km racetrack, picking up a coin from the ground at full gallop, mounted acrobatics, archery and spear throwing, hunting demonstrations with birds of prey and even mock mounted archery that ends with both horse and rider tumbling headlong into the sands of the arena when all goes according to plan.